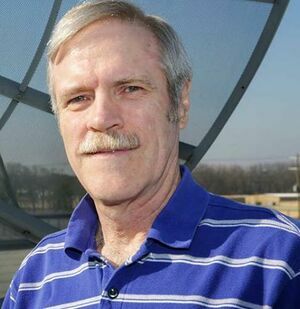 John R. Christy a professor of Atmospheric Science and Director of the Earth System Science Center of the University of Alabama in Huntsville (UAH), where he conducts research that is widely used to disregard the overwhelming scientific consensus that the climate is heading for catastrophe. Christy is a climate skeptic who oftentimes collaborates with Roy Spencer, another researcher at UAH. The pair collaborated on a dataset using satellite data that argued the troposphere was cooling, contrary to research showing surface and atmospheric temperatures were warming. The data was found to be faulty by Christy's peers. At the end of 2018, it was announced the Christy was joining the Trump administration's "Science Advisory Board." John Christy has an evangelical background, he served four years as a bi-vocational mission-pastor in Vermillion, South Dakota. From ExxonSecrets: "PhD University of Illinois, 1987, Atmospheric Science; M.S. University of Illinois, 1984, Atmospheric Science; M.Div. Golden Gate Baptist Theological Seminary, 1978; B.A. California State University, Fresno, 1973, Mathematics"
A 2014 "Climate Change Talking Points" document authored by the Committee for a Constructive Tomorrow (CFACT) and acquired via an investigation by the Center for Media and Democracy cites Christy multiple times. "Christy was a contributing writer to "Global Warming and Other Eco-Myths," published by Competitive Enterprise Institute in 2002. He spoke at a June 1998 briefing for congressional staff and media, which was sponsored by the Cooler Heads Coalition." The website of the late Dr. Stephen Schneider delivers a potent analysis of Dr. Christy's stances on the distinction between anthropogenic and natural climate change. It may seem perplexing that Christy was a co-drafter of the 2003 American Geophysical Union position statement on climate change, which concludes that "Human activities are increasingly altering Earth's climate, and... natural influences alone cannot explain the rapid increase in surface temperatures observed during the second half of the 20th century." ↑ 2.0 2.1 No byline (Undated). Factsheet: John Christy. ExxonSecrets. Retrieved on 2010-12-11. ↑ Christy, John (November 1, 2007). "My Nobel Moment", The Wall Street Journal. ↑ Birger, Jon (May 14, 2009). "What if global-warming fears are overblown? ", Fortune Magazine. Staff: John Christy, Alabama University. Fact Sheet: John Christy, Exxon Secrets.org. Wikipedia also has an article on John R. Christy. This article may use content from the Wikipedia article under the terms of the GFDL. This page was last edited on 19 March 2019, at 15:42.